You won't regret booking your birthday party or event with us! Enjoy anything you see in the video on its own or combine items for great fun and a combo package rate! All Knockerball, Archery, and Foam Events include a trained Smile Master (staff) to facilitate fun safe play. Call 309-643-1538 to book your event now. Having a birthday party? Knockerball has rentals for your party! Whether it's a kids birthday party, teen birthday party, or adult birthday party, we have you covered. 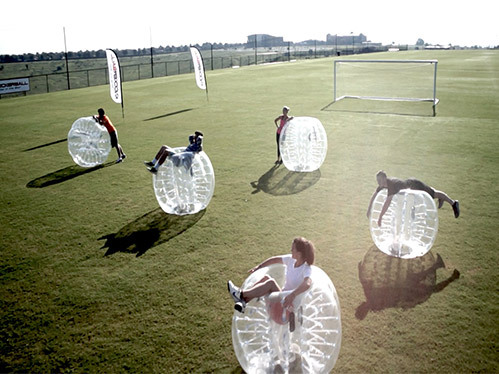 Rent our certified knockerballs and bounce, roll, or flip into your friends. Rent our Archery Tag and combat your family with skills of stealth and accuracy. Our Foot Darts are an entertaining game to add on to any of our party packages. Play at one of our recommended locations, or have our Street Team come out to you. Rent one of our games or combine all three (Knockerball Bubble Soccer, Combat Action Archery, and Foot Darts) for the most LIVELY PARTY yet. Your guest will have such a roaring good time, that they won't be able to stop talking about it. Add Combat Action Archer to your rental and let everyone try out their skills with a bow and arrow. Our giant dart board adds the fun of Foot Darts to any birthday party. 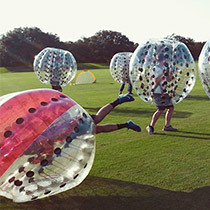 Knockerball bubble soccer is where it's at, everyone walks away laughing after a knockerball birthday party. Are you trying to find something cool, new, and exciting for your child's birthday party? Well we have what you are looking for! You can rent our medium size balls for kids ages 12 and under, or our large size balls for teens and adults. 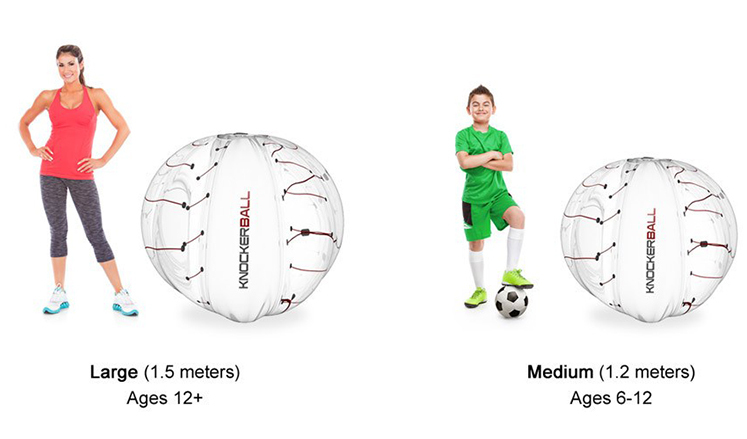 Mix and Match our Knockerball Sizes for a combination of kid & adult play. Rent our Large Adult Size Knockerballs for your next birthday party. Even grandparents feel like a kid again when they GET IN THE BALL. Team up with your best friend or spouse. Better yet, be on opposite teams and see who is left standing. Bragging rights are a real thing. Of course it is all in good fun, and we encourage good sportsmanship. - A Street Team Member who will: deliver & set up everything, go over all the safety rules, and referee the games.